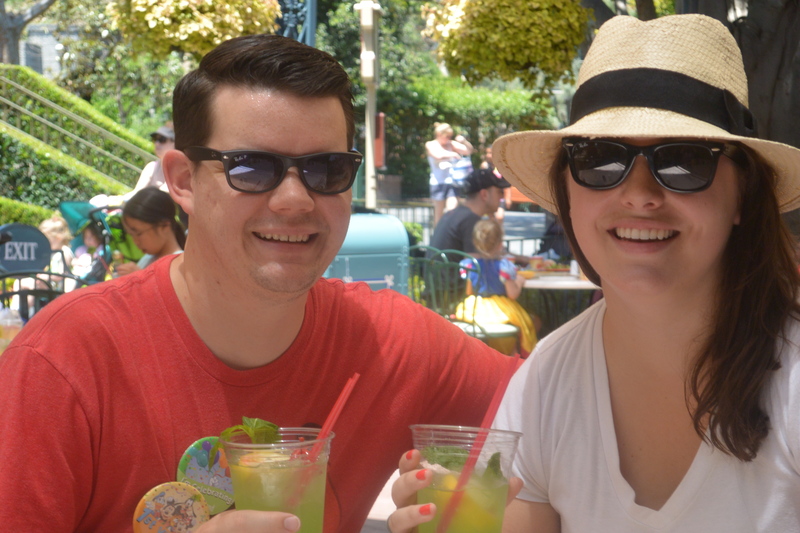 Walking around in the hot California sun, we decided to stop just across from the Haunted Mansion to cool off and that’s when we picked up a delicious Mint Julep. Now because there’s no alcohol served at Disneyland, these juleps were bourbon-free, but we enjoyed them all the same. Perfectly cool, refreshing, and delicious! Definitely a highlight of our trip! 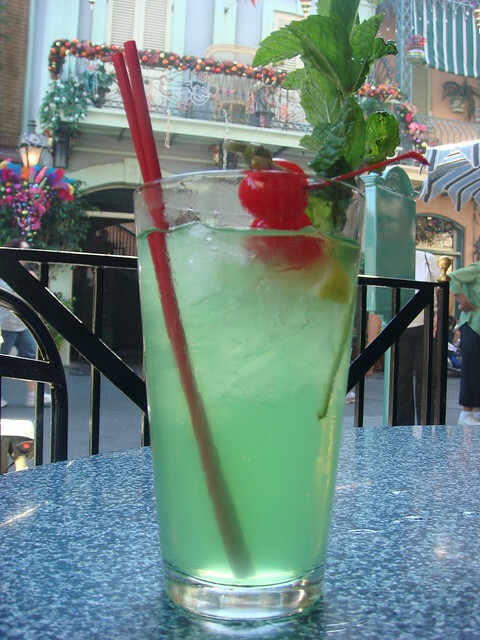 If you visit Disneyland, you can pick up a drink of your own at Cafe New Orleans, Blue Bayou, and the Mint Julep Bar. I’ve searched high and low for the perfect copy-cat recipe and thanks to The Disney Test Kitchen, I have found it! This recipe will yield about 24 1-cup servings. For readers with sugar restricted diets, you can visit The Disney Test Kitchen for a sugar-free recipe as well! Combine sugar and water in a large pot or saucepan. Bring the mixture to a boil, stirring constantly until sugar is completely dissolved. Remove the pan from heat. Add Creme de Menthe syrup, limeade and lemonade concentrates. Stir and chill. Serve with ice, sprigs of mint, maraschino cherries and fresh lemon wedge.